The new €15 million renewable energy power plant from Enel Green Power is a world first. 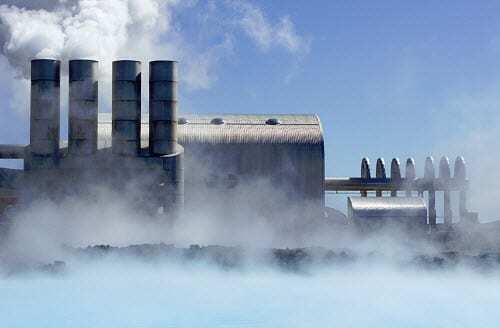 The developer of clean power finished building the Cornia 2 geothermal power plant, which is said to be the first to combine the two renewable energy sources, geothermal steam production with biomass power. The plant is located in the Tuscany region of Italy and utilizes locally sourced forest biomass to heat steam, generated from geothermal energy that enters the plant, to a temperature of over 200° Celsius. The power plant will save 13,000 tons of CO2 emissions a year. According to Enel Green Power (EGP), by integrating the two renewables, this enhances cycle efficiency and the volume of steam generated at the plant will improve production capacity by 5 megawatts (MW) to 18 MW, which will add to the energy grid over 30 gigawatt hours (GWh) of low carbon electricity. Enel predicts that the project will prevent 13,000 tons of CO2 (carbon dioxide) emissions annually, and will also create as many as 40 new jobs in sourcing the biomass, reported BusinessGreen. Enel has plans for other hybrid power plants in addition to its geothermal power and biomass project. Worldwide, EGP currently operates nearly 10 gigawatts (GW) of wind, solar, hydropower, geothermal energy, and biomass plants across 740 sites in 15 countries. The amount of energy it produces from renewable sources is equal to powering 11 million homes. EGP’s goal is to dramatically lower its emission within the energy sector. It has already managed to decrease its own emissions by 36% from 1990 levels, and earlier this year the company announced it would be phasing out its investment in coal. Furthermore, in addition to its Cornia 2 geothermal power and biomass hybrid plant, Enel Green Power also has two other renewable hybrid power plant projects including its Stillwater Solar Geothermal Hybrid plant in Nevada, USA, and its 11 MW Fontes Solar park in Brazil, which will integrate wind energy with solar PV (photovoltaic).